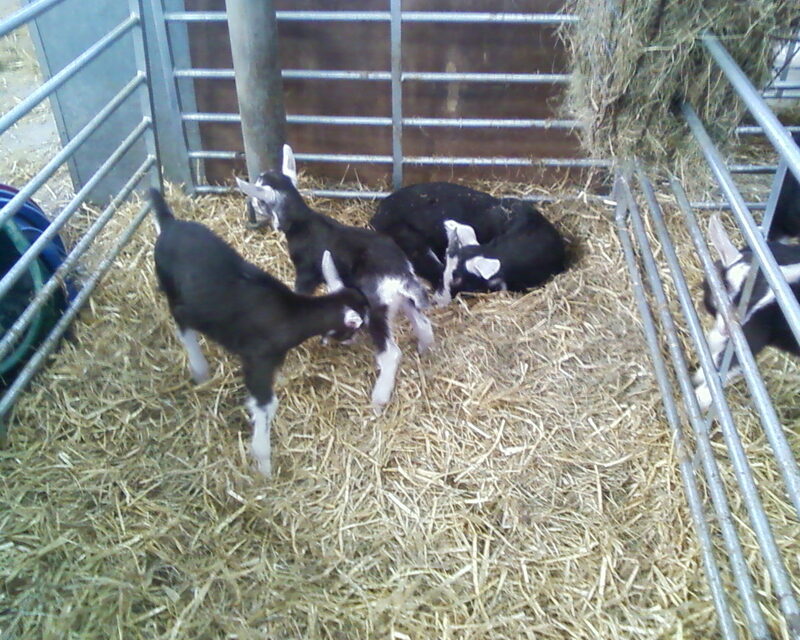 Just a handful of goats left to kid now. 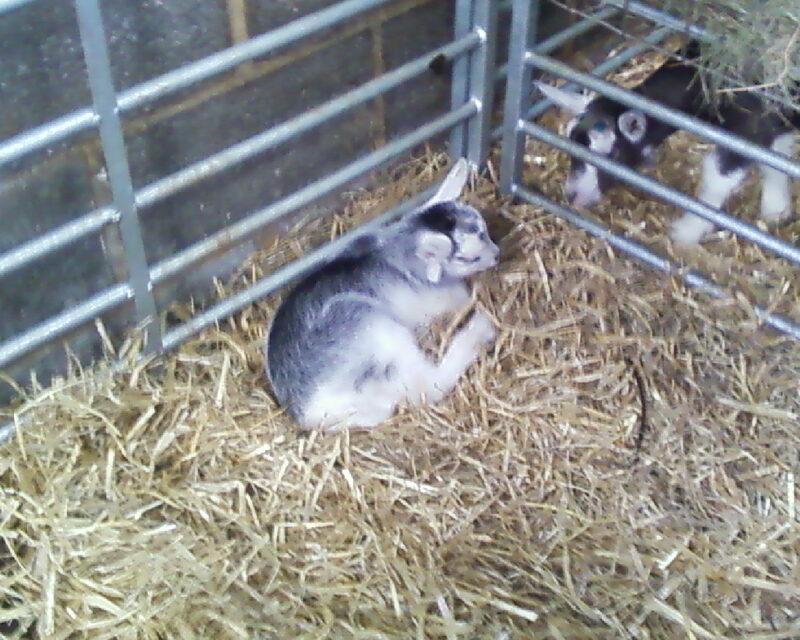 The latest arrival came into the world on Thursday in the middle of a visit from a group of Hadlow students! Such a pretty little thing she is and Marlin is a very proud mum. A few days ago, Figgie gave us two more little men and they are now being bottle fed as mum has gone back into the herd. However, this morning they had an unexpected visitor as one of Valerie's little chaps decided to jump into their pen with them. 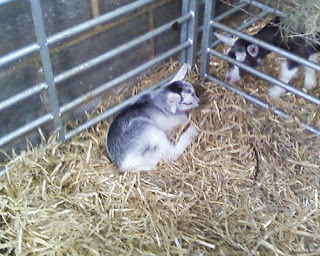 Here he is, at the back - curled up fast asleep! See that green field in the background? That's the paddy field! Finally starting to go green but there are a lot of patches where the grass has not taken. David has got some more grass seed and when we have a chance of rain, he will go out and scatter it on the bald bits. Fingers crossed that it all continues to grow! So, hopefully the weather will stay nice this weekend as I have markets on both days. Jane the Cheese has gone off to Melton Mowbray, Land of Pies, for a cheese festival. She will also be joined by our friends from Winterdale Cheesemakers who recently became the UK's first carbon neutral cheesemakers. 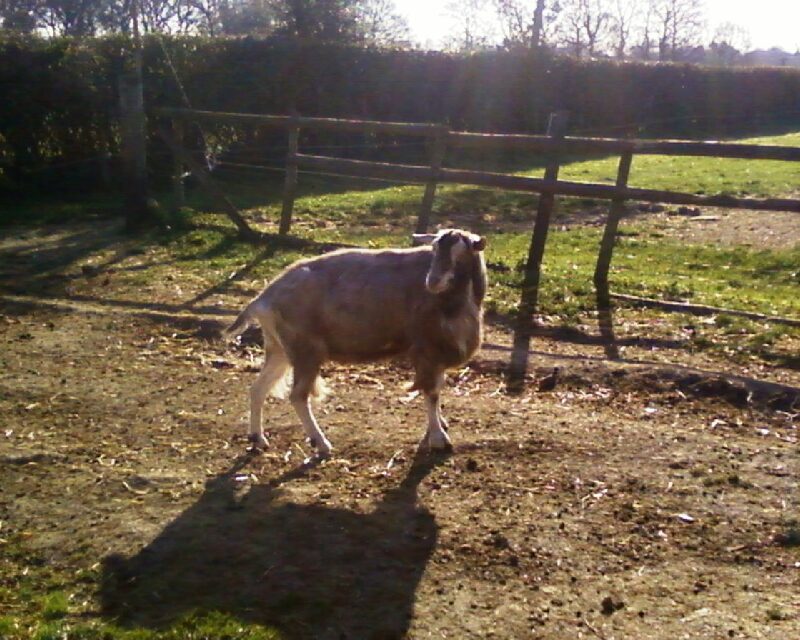 Incidentally, there was a great feature on Radio 4 'You and Yours' today when they interviewed a couple of people about goat meat. The main contributor was James, the chef who has a large number of our own little men in his barn in Somerset. I like to think that it was our little chaps that I could hear bleating away in the background! Have a great Bank Holiday weekend everyone and a Happy Greek Easter to all! This is extremely good news about the 'Paddy' field.. WE thought that you might have to learn how to garden in Chinese! 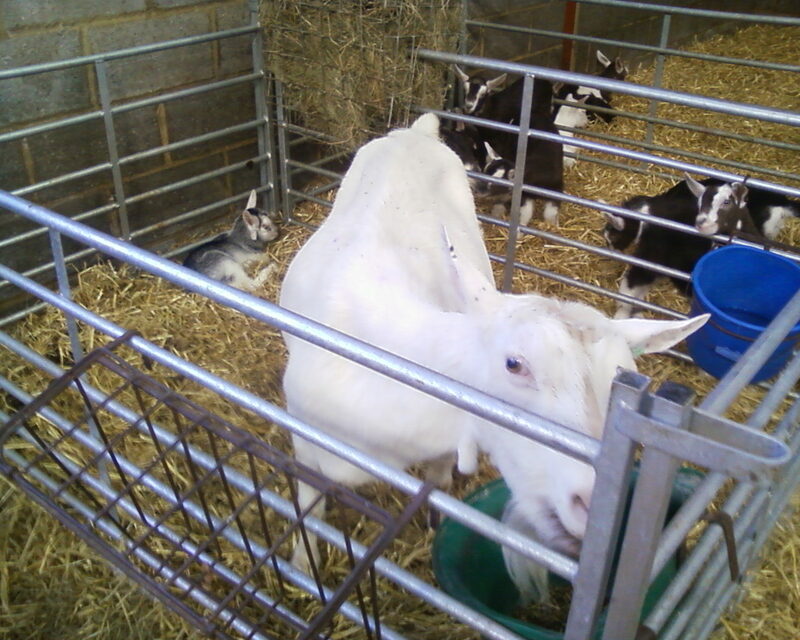 See YOU tomorrow.. oh RICOTTA cheese made with YOUR Goaty Milk is jurst FAB!! I'm so jealous. You keep getting blue girl babies! 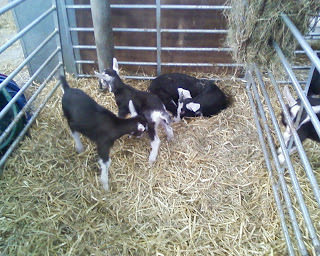 I shouldn't complain my three ladies have birthed seven young BA type baby ladies, including identical triplets! Two biological miracles in one kidding! 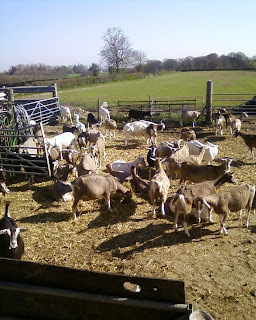 Isn't a few weeks of grassy spring an amazing tonic, for the girls and for us!